Coaching sessions are a great way to deliver value to your audience. To offer extra help with your Online Courses and Digital Downloads to those who need it. 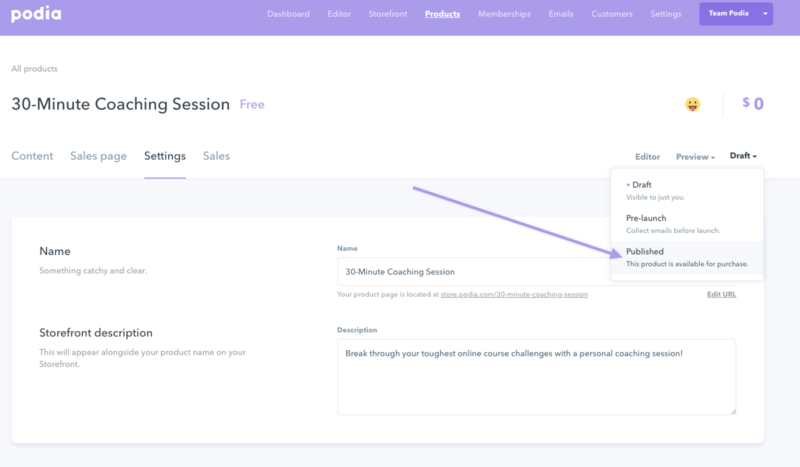 Setting up coaching sessions or webinars as a product in Podia is easy. 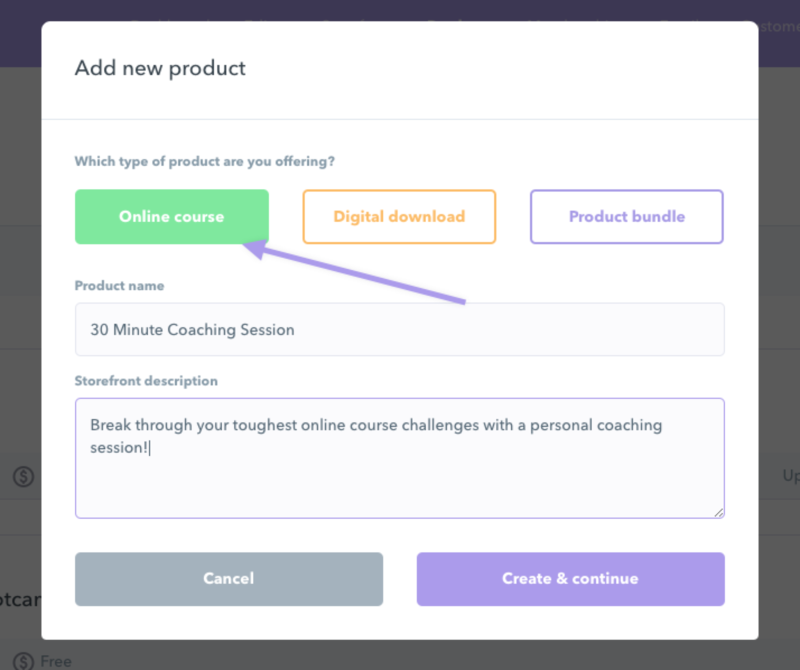 Select “Online Course”, and give your coaching/ webinar session a name and description. 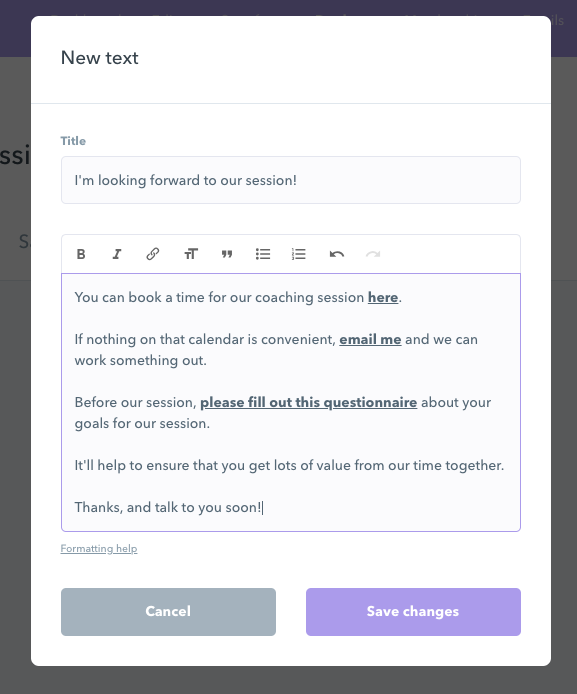 In the text box, tell your customer how to redeem their coaching/ webinar session. If you use a scheduling tool like Acuity Scheduling or Calendly, you can add that link here. You can also include a link to a pre-session questionnaire, or any other information you want your customer to have before your session. Next, you can create a Sales Page for your coaching/webinar session by clicking on “Sales Page”. 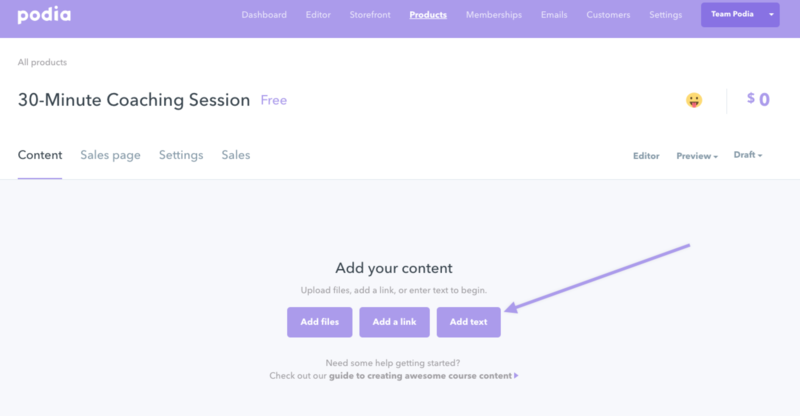 For even more flexibility and customization on your Sales Page, use the Podia Editor. 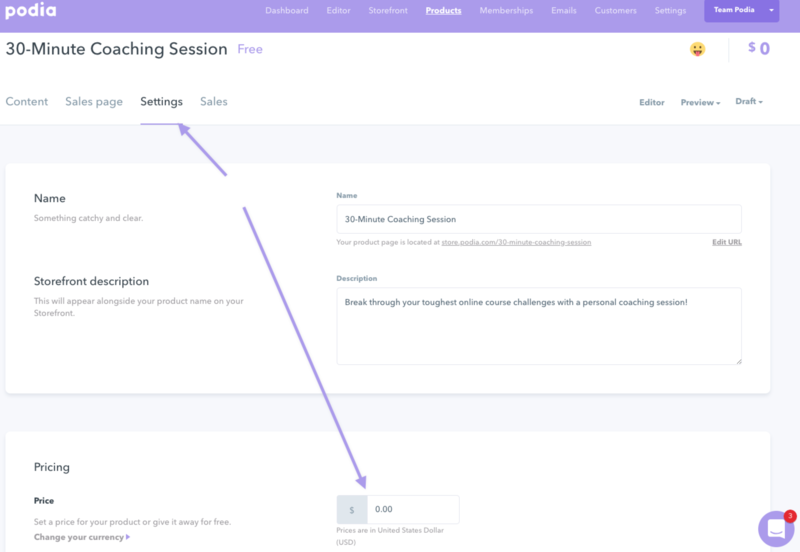 Then, set a price for your coaching/webinar session in the “Settings” tab. Here, you’ll also be able to create a payment plan, coupons and other optional goodies. To make your coaching/webinar session available for sale, just change the status from “Draft” to “Published”. Have any questions about selling coaching/webinar sessions on Podia? We’re happy to help. Reach out to us at [email protected] (or click the icon below to chat with us! ).